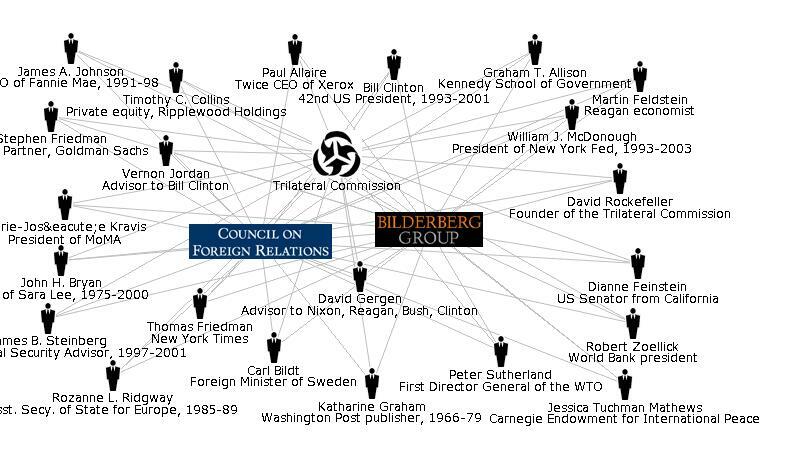 The Trilateral Commission is a satellite organisation of the Round Table network. Its task is to oversee the implementation of the ‘new world’ economic system they call technocracy, replacing the only system to allow for individual freedom to capitalise on the efforts of another, ‘Rhodes Capitalism’. 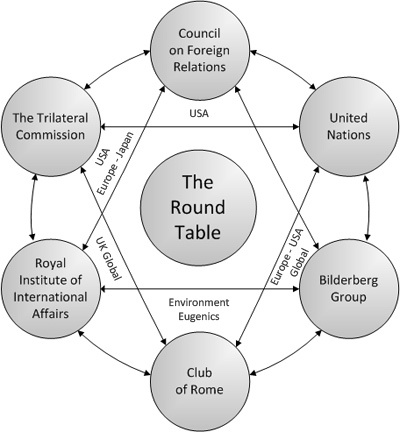 The Trilateral Commission, working in sync with the Royal Institute of International Affairs and the Council on Foreign Relations, make up the un-holy zionist trinity that has formed and implemented the platform upon which the front organisation and its satellites, The United Nations, will operate and enforce the will of the Illumined over the bankrupt and incorporated governments thus formed via the central banks and fiat currency entrapment. This trinity has handed down, as if it be the hand of god, rules and regulations that ultimately removes all property ownership and the freedom to accumulate wealth by the global population, recognise the difference between trade and commerce. It is also a protocol that the elect also give up previously held freedoms unto the global matrix of self will. This is best seen as the main protocol of Marxist Communism through which they have been able to monopolise for the Illumined, the entire global wealth and asset base into the hands of the central banking network, it is the intent of its masters to keep the wealth of the world in order they ring fence their own power eternally, whilst carving up the earth and all life upon her as befits their frightened and debauched self delusion that they are indeed the overlords of the planet. But even that is not the real problem, the real curse of man is the fact you believe them. 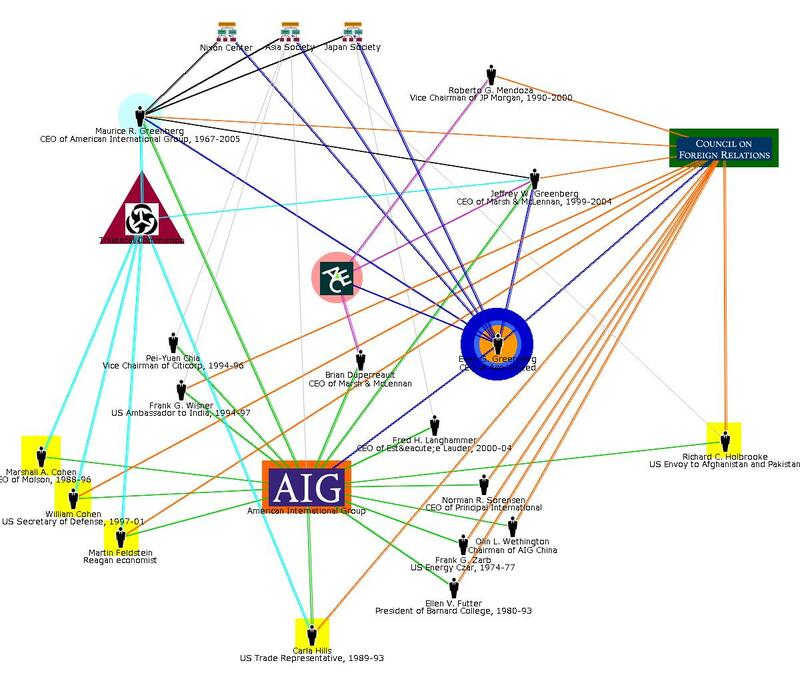 The method by which this typically secret society pyramidal structured organisation operates, has been to covet the attention of the executive branch of governments leading to a dependancy upon their advice, ultimately procuring control over the executive for the corporate Round Table. Enforcing a balance between nature’s resources and man’s consumption of them. Agenda 21, Sustainable Development, Smart Growth, Smart Grid, Cap And Trade, Climate Change, Common Core,  massive surveillance operations and a whole lot more. All of the above has been forced over the global populations by the well financed Trilateral Commission and its members since 1973. At the point at which the Trilateral Commission gains total authority over the executive of a government, it is then that privatisation of the domestic services begins. The corporate empire of pseudo charitable trusts then takes over the domestic system as outsource providers. They initiate contracts with the state which once signed off sees consecutive hikes in contract costs which are levied against the taxpayer, forcing the government to borrow yet more credit from the central bank system. The move from capitalism to technocracy is being achieved under the fear created with the fantasy catastrophic climate change script. Yes the same illuminist minds have control of the weather enough to heighten natural storms, in the reduction of UV rays from the sun through the chemical aerosol spraying agenda, also known as chemtrails, from which a degradationÂ in the suns capacity to nurture life on earth can be achieved. The rise in cases of rickets is a prime means to measure this reality. In short they can manipulate the weather enough to enhance the fear ratio through the media when they report on what was once an acceptable part of life, the weather. Maurice Strong dies age 86, what is his legacy?